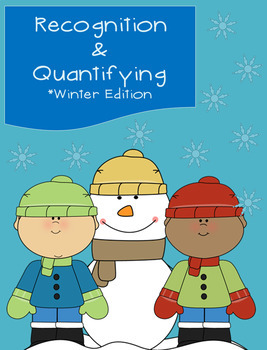 This packet contains winter/holiday themed math materials you can use with your students. You can use these materials in small groups, morning work, or independent work. Topics touched on in this packet include numeral recognition and quantification. There are 6 math work pages included. 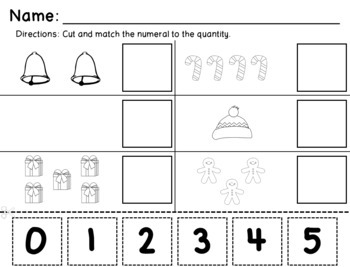 Slides 1-3: Recognize numeral, cut, and match the numeral to the quantity. *Three versions to differentiate for students. 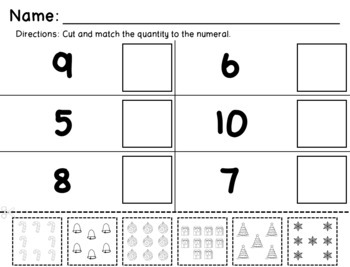 Slides 4-6: Recognize quantity, cut, and match the quantity to the numeral. *Three versions to differentiate for students. Looking for more winter/holiday activities? Check out our Winter Math Packet!